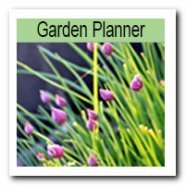 Easy Step By Step Instructions to help you make a free menu planner! Have all the ingredients you need in the house. Have a year of meal ideas worked out. 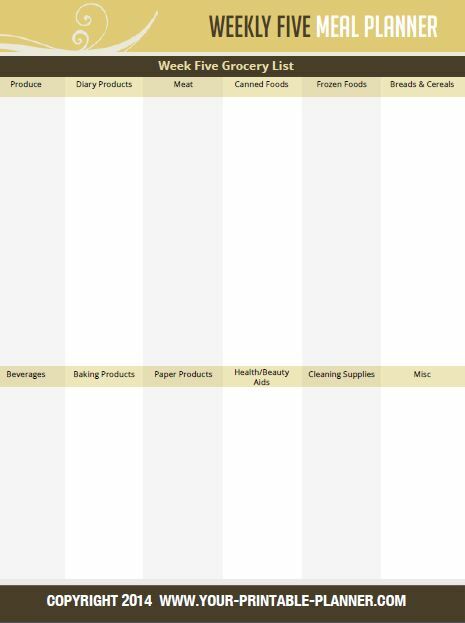 Create your weekly grocery list. Save time by cutting down on shop visits - the need to get this or that ingredient! 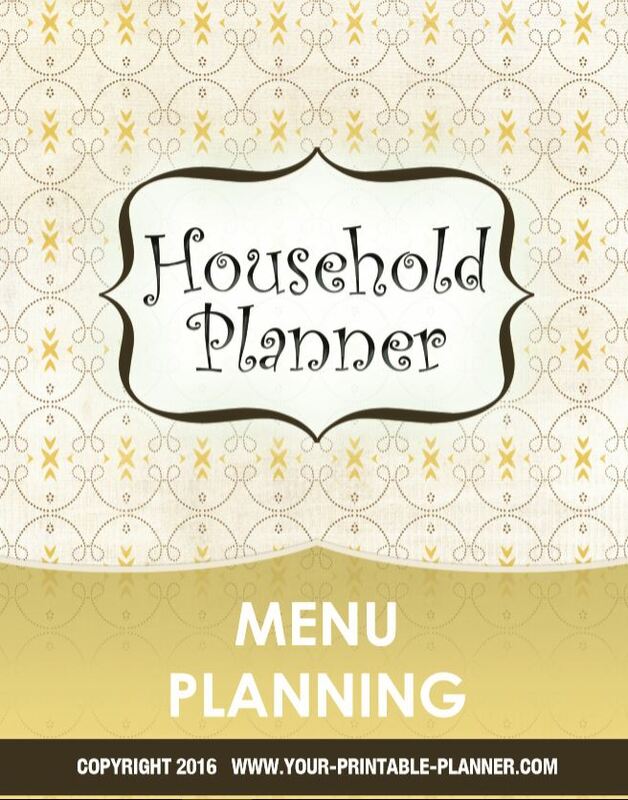 It's not difficult to do or follow, but by the end of the process, you will have a menu planner which will take the daily stress out of meal preparation. What are some meals that everyone loves, the ones which are a huge success in the home? You will find some ideas on My Meal Ideas List. Lastly, add some New Recipes which you would like to learn. Would you like to learn a recipe you tasted at a friend’s house or saw in a magazine or watched on My Kitchen Rules? 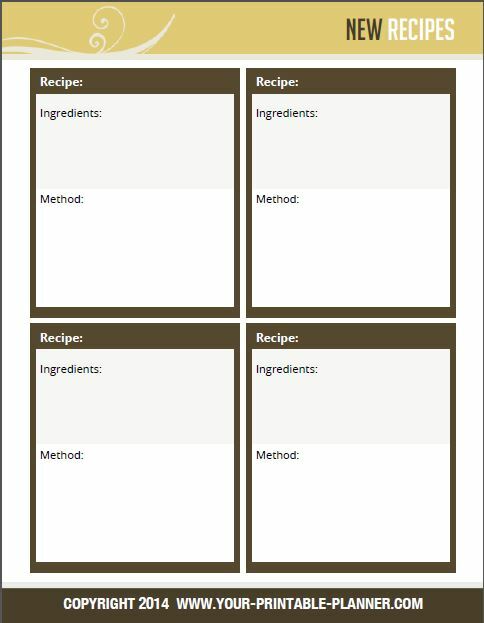 Write the new recipe idea down on the Meal Ideas Chart. 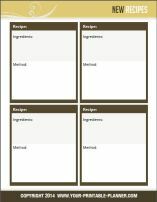 On this page, you need to add the ingredients and the method involved in making your favourite recipe. Although, you may know this recipe by heart, it is important to write out the ingredients at least, since you will need it when you make your weekly grocery list. 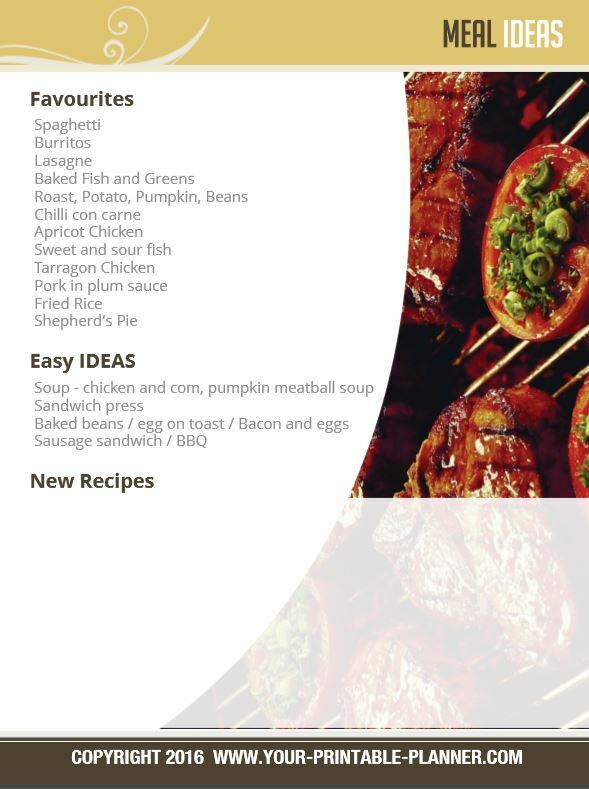 Click and Print the weekly menu planning Favourite Recipe Template. 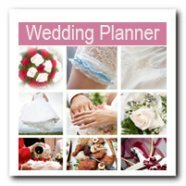 Please Note: The pdf template on the right is a part of the Menu Planner Guide; This is not the same as the free download. You've just watched Master Chef or you've been reading Great Food Magazines and you're inspired? Great! Get ready to learn a new recipe and add it to your cooking repertoire. Now, copy the ingredients and method onto the New Recipes Page. 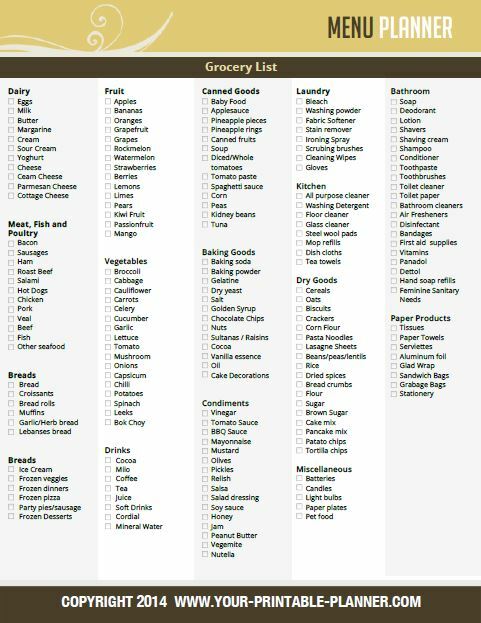 This will also be useful to you when you plan your weekly grocery list. 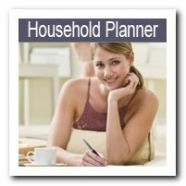 Weekly Menu Planning New Recipes Template. This Weekly Menu Planner will be created once (right now), but used by you each month for the entire year. 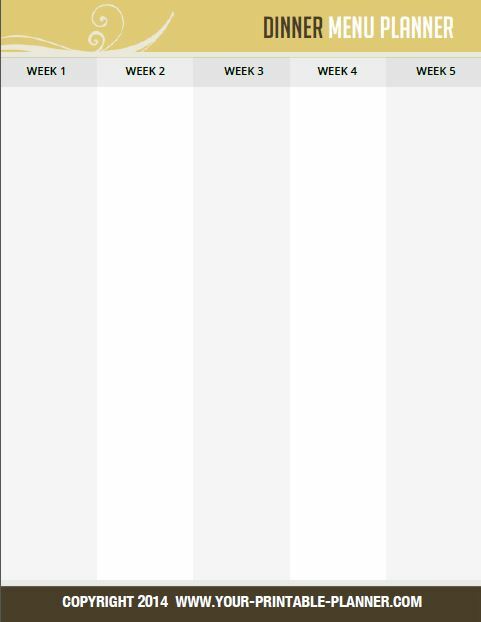 The work you put into the menu planner right now will save you time each week to come! 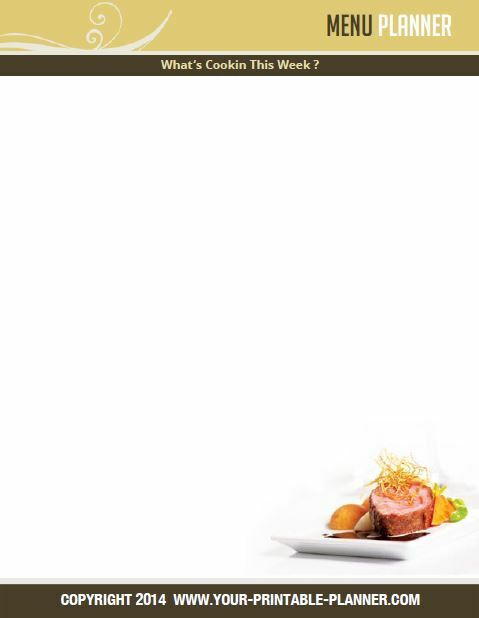 When this page is complete you have the basis of all the meals you will be cooking over not just one week, but a whole month and in fact, for the whole year. 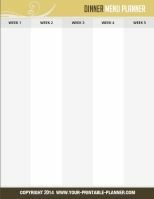 From this chart, you will create your weekly grocery lists which you can simply take with you to the shops. 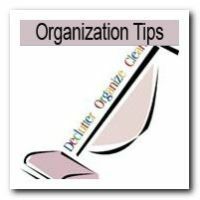 Now, you will have your cupboard and fridge stocked for the menus you have planned for that week! Simple! 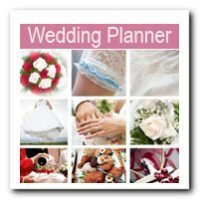 Let's create your Weekly Menu Planner now! Keep adding your favourite recipes and also add in some new recipes you would like to try, but don't have a week of new recipes.. Scatter them over the month. Next, add some easy menus to each week. 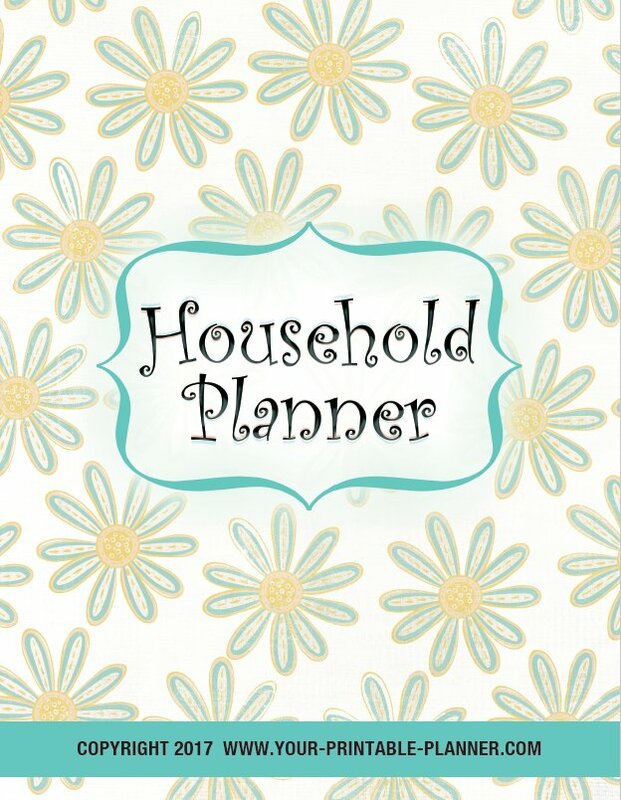 I am sure you have very busy days , so choose the busiest day in the week for a really easy meal or a slow cooker / crock pot meal which you can put on in the morning. 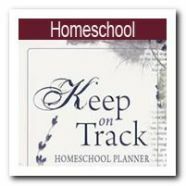 Keep filling in Menu Ideas into the weeks so that you have 7 meals written down in each week. Remember, this does not mean that you need to have 35 different meals written down. 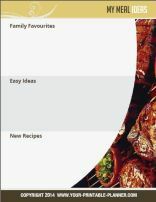 Repeat favourite meals, add your easy meals, add some new recipes and add a takeaway and you'll have 7 in no time! 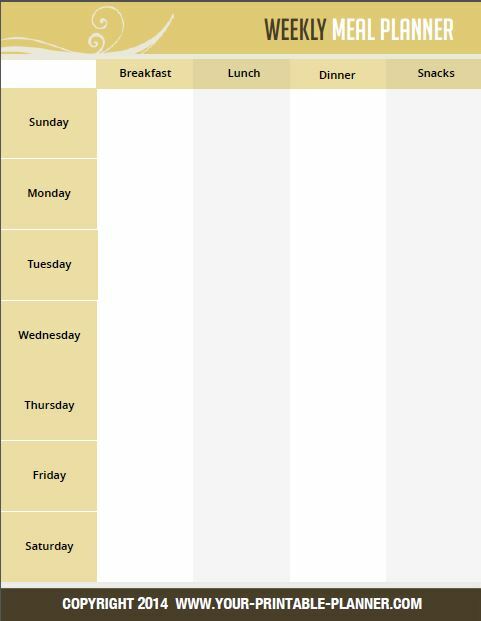 Click and Print the Weekly Menu Planner Template and fill it in now!